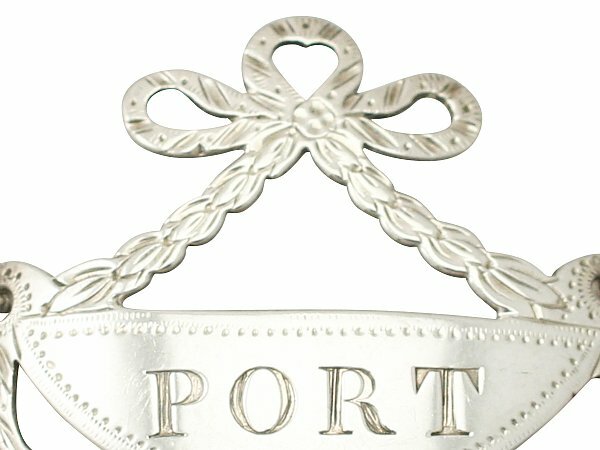 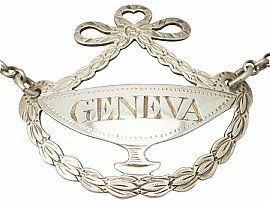 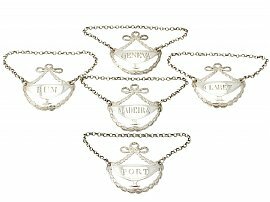 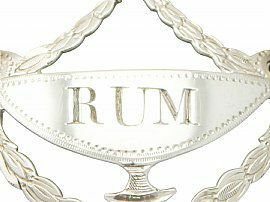 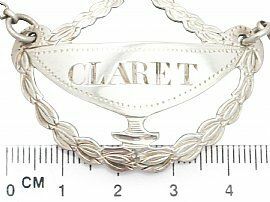 These exceptional and collectable George III sterling silver bottle labels have a neo-classical urn shaped form. 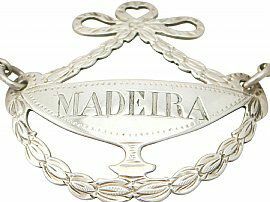 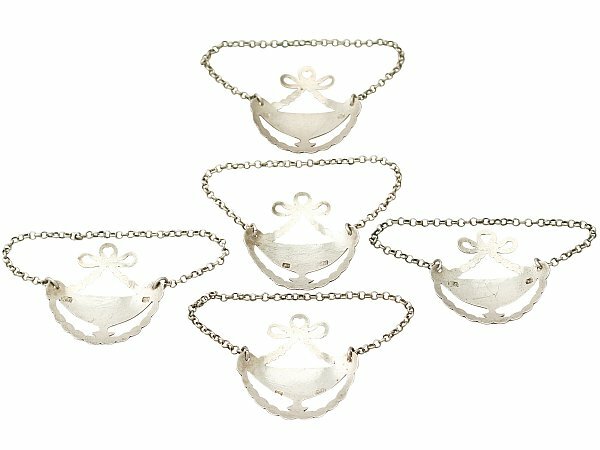 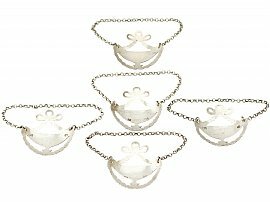 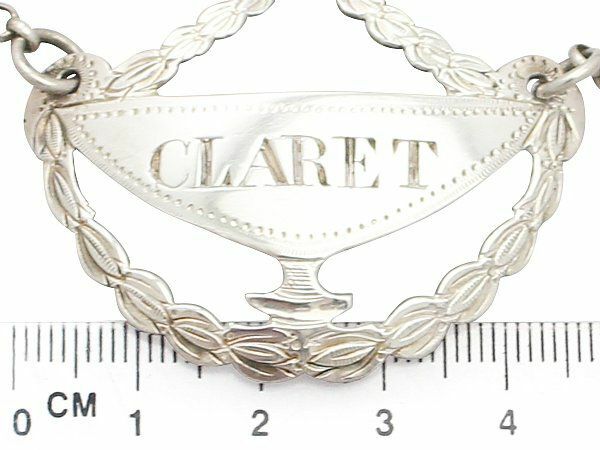 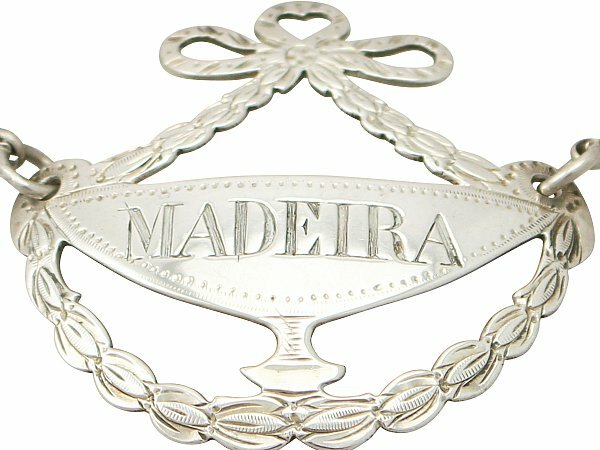 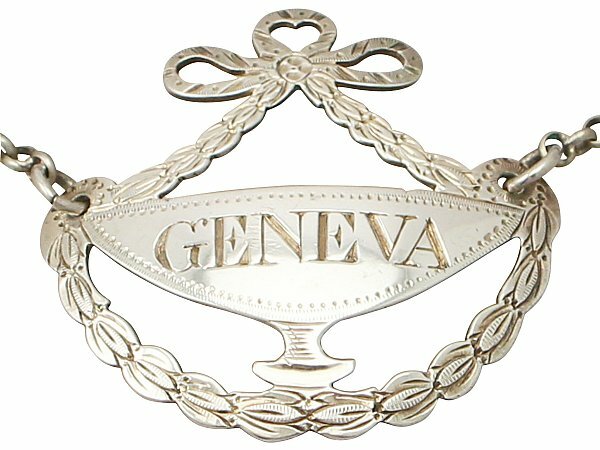 These antique silver labels / tickets are further ornamented with a bright cut engraved and pin struck ribbon bow designs accented with suspended leaf festoons. 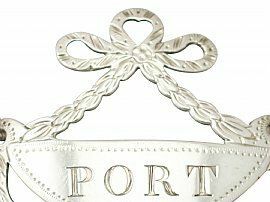 The body of each label is engraved with the individual wine or spirit: 'Port', 'Geneva', 'Claret', 'Rum' and 'Madeira'. 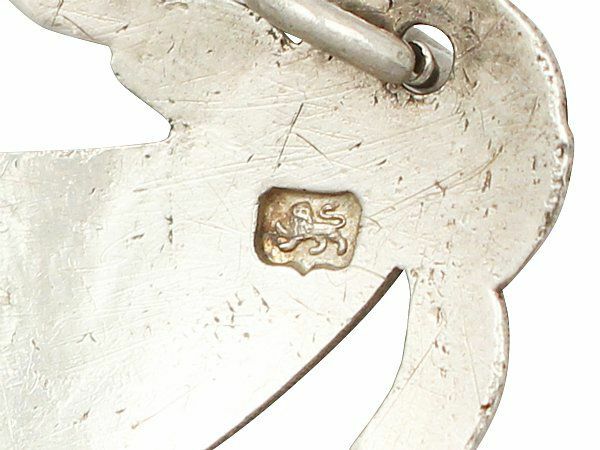 These Georgian silver bottle labels are suspended by two ring loops to the corners of the urn designs and connected by silver round link chains. 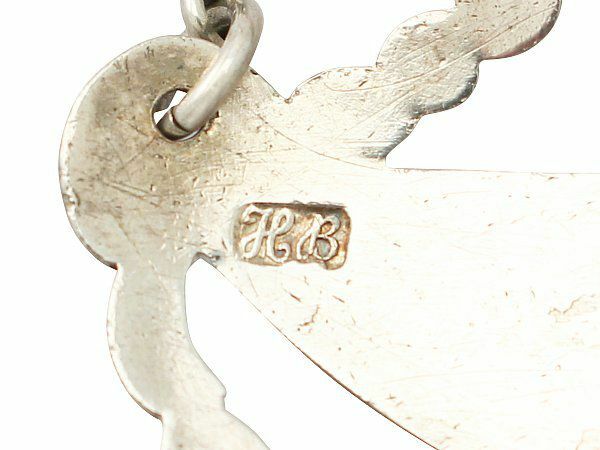 These fine bottle labels, crafted by the renowned female London silversmith Hester Bateman, are an exceptional example of their type. 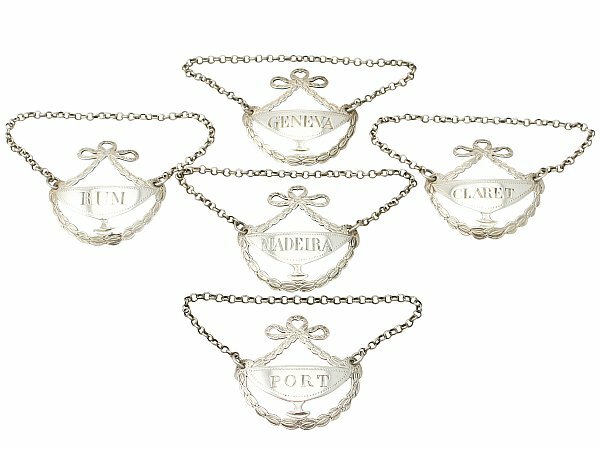 These antique silver bottle labels / tickets are an exceptional gauge of silver, exceptional quality and in exceptional condition, for their type. These antique wine labels are struck with the maker's mark and lion passant mark to the reverse of each; all the hallmarks are very clear.